In 2015, I began thinking about another horse. You see, I had two beloved mares, and one of them was going to be turning 30 years old in 2016. She had begun to have a few health problems, but was, for the most part, quite a grand old girl. My much younger mare was really bonded to her, and I knew she would have a difficult time losing her best buddy when the time came. As an animal advocate, I have never believed in breeding animals. There are so many out there in need of homes. All my pets have been rescues, and I believe the best ones have found me, not the other way around. I began checking out local rescues and followed on them Facebook for months. 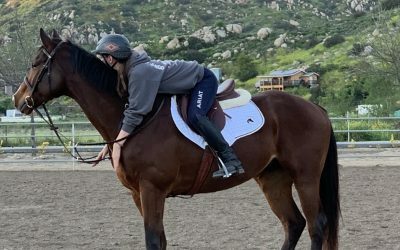 I thought I wanted a bay gelding, and settled on the idea that I wanted a mustang. 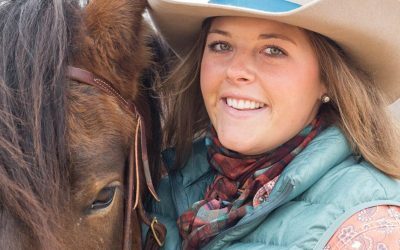 They’re on the smaller side, sturdy, intelligent animals and a nearby rescue had a woman who would be competing in the Extreme Mustang Makeover. I followed one that seemed to be exactly what I wanted. When the day came, I went to the fairgrounds and watched him compete. He was amazing, but when I visited him, we just didn’t make any connection. I’m a firm believer in following instincts in these matters! Feeling a little disappointed, I went home, hugged my horses and talked it over with them. Then, another rescue I followed on Facebook had an article about their visit with Heart of Phoenix Equine Rescue in West Virginia. The article was about the plight of the mine horses and the challenges faced by those trying to save them. I started following HOP and was amazed at how determined they were in the face of such adversity. They were organized and knowledgeable and dedicated. The vets they work with are among the best in the country. Still, none of the horses spoke to me. They all pulled mightily at my heartstrings, but I didn’t see “the one” – until the day in 2015 they posted a video of Splenda. I couldn’t stop watching it. Remember now, I wanted a bay gelding. HA! Here was this spirited, little buckskin paint mare that I knew I would have to see in person. To visit an HOP horse, an application has to be submitted and approved. I did all that, and they checked my references and did a phone interview. It all happened pretty quickly, and arrangements were made for a visit. What should have been a six to eight hour trip turned into a 12-hour crazy, everything-went-wrong kind of day. It was late on a December afternoon when I arrived. I had my riding buddy come along for moral support, and when we finally got to the farm to see Splenda, I was worried there wouldn’t be enough time to evaluate how we would get along. Within 15 minutes, Splenda was haltered, brought away from her little herd, put in the round pen, and saddled. The minute I saw her, I knew I’d be taking her home, but I wasn’t ready to admit that to myself just yet. (Be mature, think about it. Don’t make a snap decision.) I even followed everyone’s advice and didn’t take my trailer with me. That way, I’d have to make another trip if I really wanted her. I was a little hesitant, but got on and rode her. I had already been advised about her past and issues she may have. Sure enough, she let me know that she wasn’t all that happy about the situation, but, she cooperated, even if it was a bit begrudgingly. Who could blame her? She had spent longer at HOP than most horses. You see, she had been pulled from a farm where she was shut in a stall with other horses and not enough room to raise her head. When HOP brought her to what was to be her new home, she stood with her head down in a corner. So they loved her back to life and she began putting on weight. Then she began putting on a LOT of weight. Sure enough, she was pregnant. Her rescue family kept her and her baby until the little one was weaned. Splenda blossomed from a little mare with her head down in the stall corner into a feisty girl with a bit of an attitude! She made it known she had likes and dislikes. Her main dislike was being ridden in a ring and being made into a show pony. Apparently, that’s what she was bred for, and when she didn’t cooperate, she was no longer wanted in her previous home. In her rescue home she rode trails, had children all over her, and went swimming in the rivers. THIS she loved. As it happens, that’s what I also love. When I first rode her in the round pen, I expected resistance, but I wasn’t sure how much. I got a bit of attitude from her, but still she did as asked. I said my thank yous and left, and then my friend and I made the long drive home. For two weeks, I did my best to talk myself out of wanting her. Nope, I couldn’t do it. I called and asked when I could come get her. I live in the Coastal Plains of Virginia and have a terrible fear of heights, so the trip to get her from the mountains of West Virginia left me exhausted and trembling. There I was with my truck and trailer getting ready to pick up a horse I didn’t know, realizing I had to make the terrifying drive home without a living creature in the trailer I was pulling. I had no choice. It had to get done. I arrived at the farm where Splenda had been trailered that morning. I was greeted by a donkey, a llama, a goat, a couple of cats, a dog, and a stable full of horses looking in my direction over breakfast. The owner gave me a tour, and we got Splenda to let her stretch her legs before loading up. We were in a covered arena and all the animals were there. She seemed to be friends with them all. I was amazed and enthralled. When loading time came, Splenda was a little hesitant. Not to worry, here comes donkey, the experienced loading helper. He came up behind Splenda and nudged her a little. She stepped in the trailer, and donkey turned around and sauntered back to the barn. Job well done. It has been a year and a half now, and Splenda and I have taken time to get to know and trust each other. Understandably, she had trust issues. She wasn’t sure if I was going to treat her roughly as she had been treated before her rescue. She has a sensitive mouth, was apprehensive when my heels touched her, and truly didn’t like being in a ring or ridden in a round pen. She clearly understood everything I asked her to do on the ground and in the saddle. 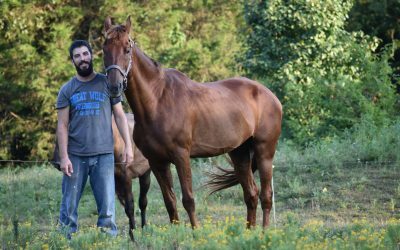 HOP told me that one of their biggest requirements for this mare was that the adopter had to have soft hands. Splenda had obviously been treated roughly, so I’ve spent a lot of time earning her trust. She hasn’t had a bit in her mouth, I ride her with a halter and lead rope. I try not to touch her with my heels, just gentle pressure with my legs. The less I ask, the more she gives. We ride fields and forest trails together, and I take her for walks and let her roll in the mud if she wants. I don’t remember life without her. She calls to me when I am near and comes running for wither scritches. She has become my other mare’s best bud, and they both watched as we said goodbye to the grand old lady last year. We are partners for life. Everyone has different ideas about their ideal horse. Sometimes though, what you think you want and what you need are two entirely different things. I think instead of trying to find ‘the right horse’ we need to be more focused on becoming the right person. Listen to the horse, observe and learn, and give the relationship time.